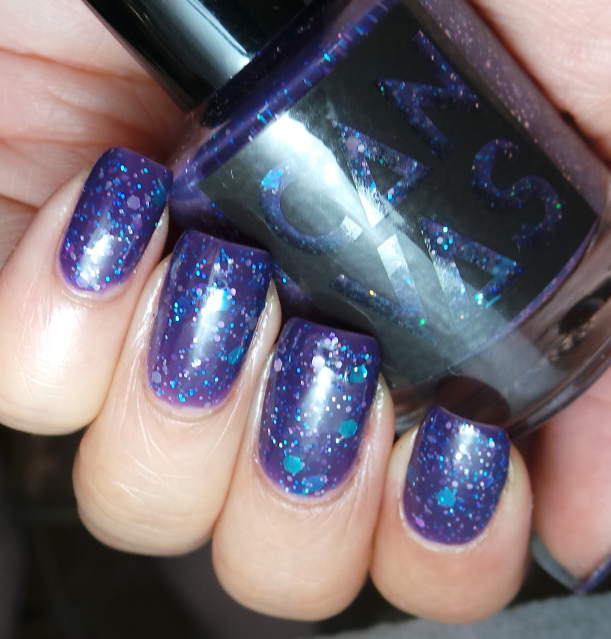 This is a purple jelly packed with turquoise holographic microglitter, tiny white hexes, a sprinkling of charcoal holographic and large ocean blue hexes. AN ART PARTY FOR YOUR NAILS! Stay tuned for more releases from our CANVAS the City Fall/Winter Collection, as well as a few seasonal duos!